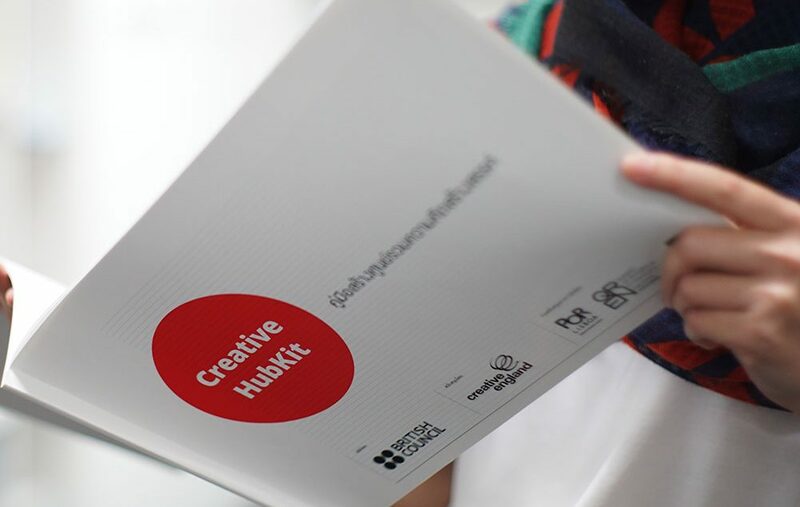 Creative HubKit is a publication commissioned by British Council in 2015 to provide technical knowledge and step-by-step tools for aspiring hub owners and managers for the establishment and development of new creative hubs. The HubKit aims to illustrate some of the experiences and approaches from those building successful hubs – taking best practices from the UK and other European cities – which will provide key ideas and insights for effective hubs management. The Creative Hub Kit is available in Thai language.